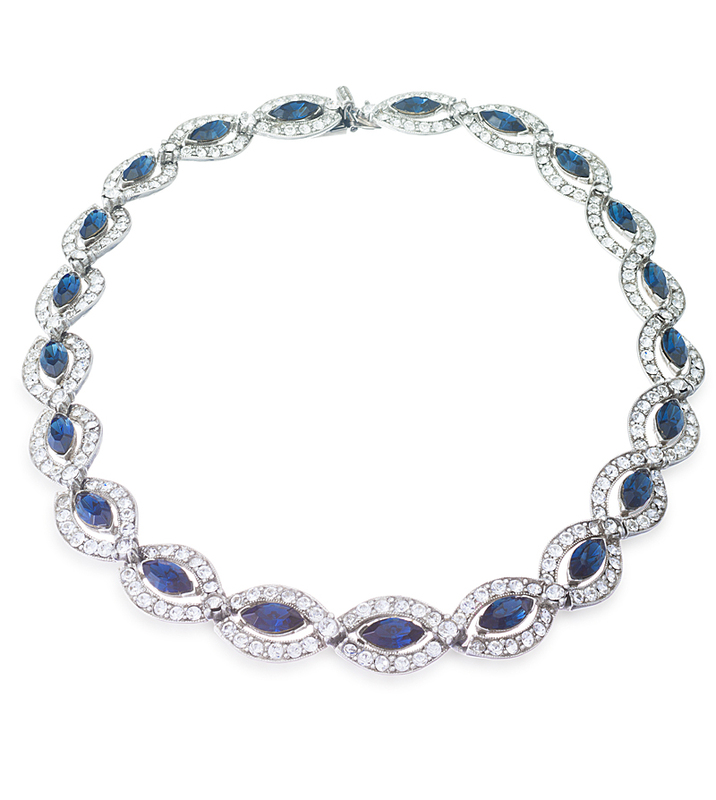 Spring has arrived and so has the blue skies and sunny weather here in New York City, so we’re feeling blue. 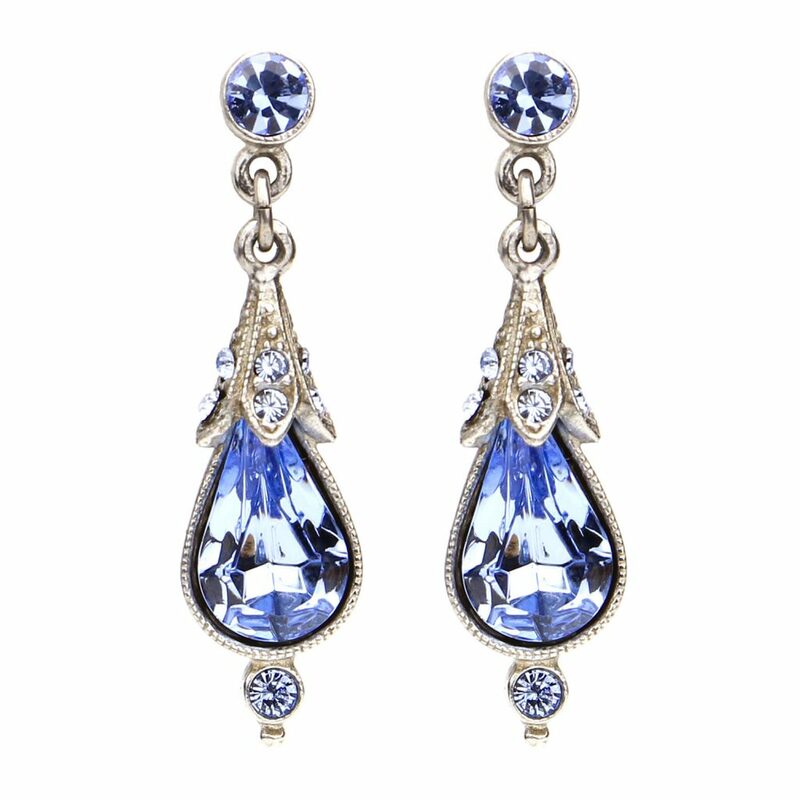 Something Blue for your wedding day is such pretty tradition to keep – that beautiful pop of color is sure to catch the eye as the bride walks down the aisle. 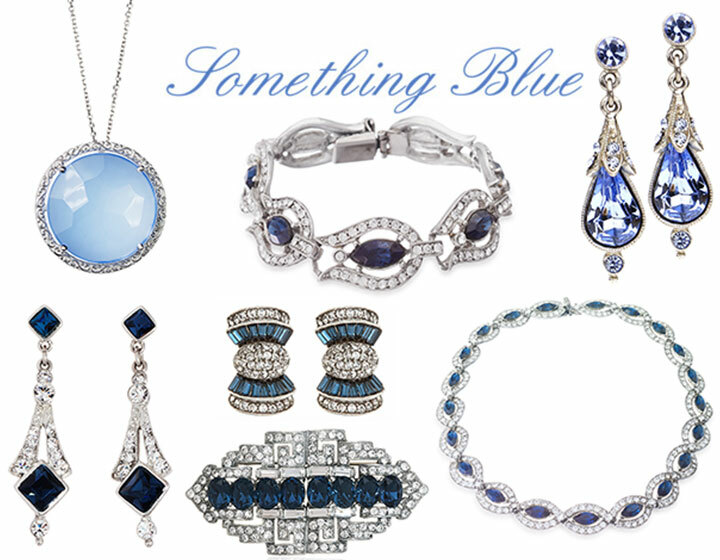 Blue wedding jewelry can be the perfect “something blue” to add your wedding accessories. 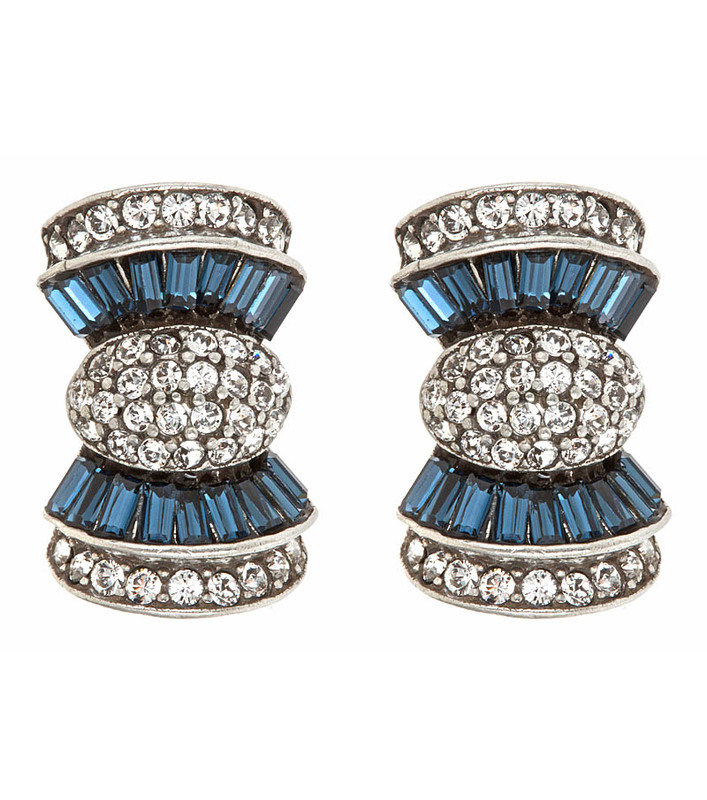 Your bridal jewelry will definitely become a popular item in your jewelry box, with these blue accents making them wearable even after the big day. 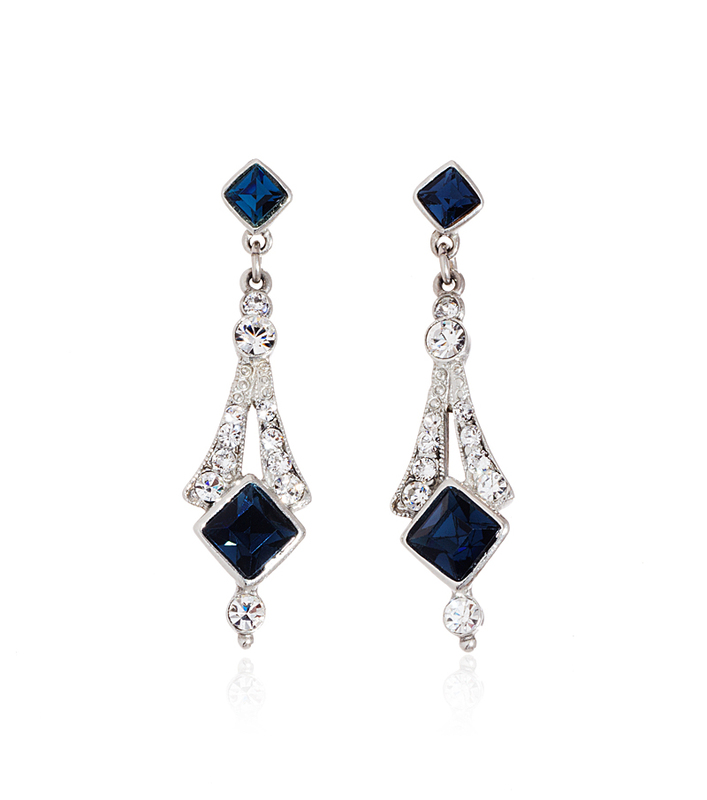 Blue bridal earrings are an easy way to add your wedding day blues. 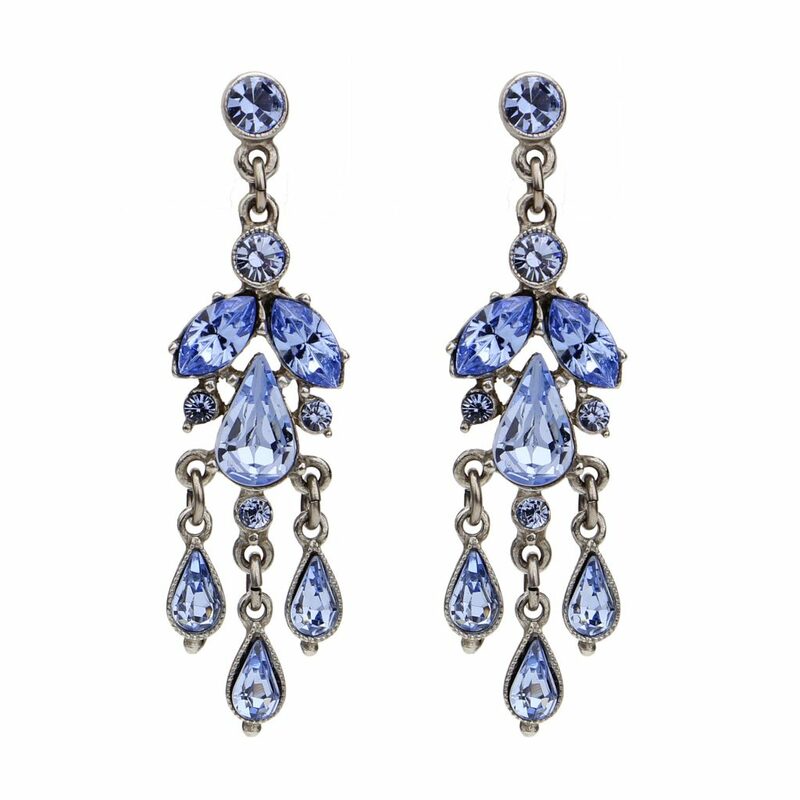 Whether a deep navy blue tone or a cool light blue hue perfect for a spring wedding, let your wedding earrings be your something blue. 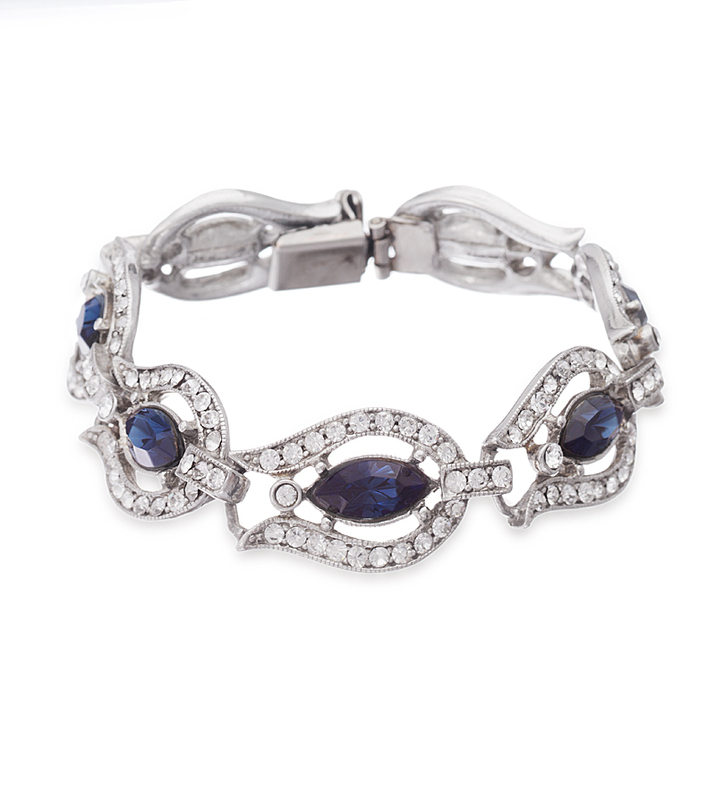 Or you can make a beautiful blue statement with a bridal bracelet that has a pop of color or a bridal necklace to really turn heads. 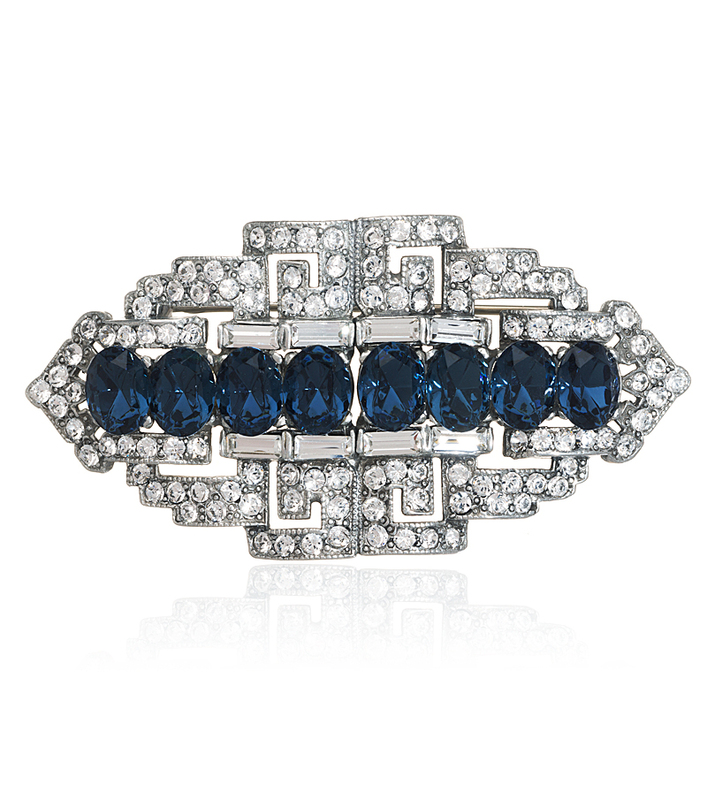 Another great wedding idea is to add your something blue to your bridal gown with a sparkling brooch. Wedding brooches are a stunning way to add some special details to your gown or even your bouquet. 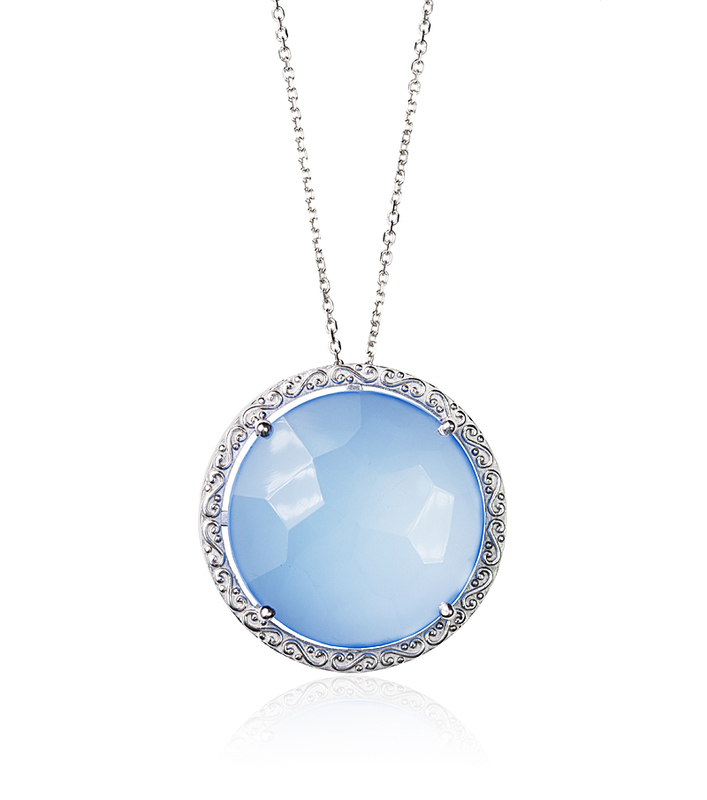 How will you add your Something Blue to your wedding day? See our favorite ways to add your “Something Old” to your bridal style.